The Washington Post reports how municipal governments in the U.S. are under great strain: state and local governments have doubled their debt loads in the past decade to $2.4 trillion. Factor in state (excluding local) unfunded pension liabilities for another $1 trillion (a figure that is likely closer to $3 trillion). The future is debt-laden and the question is how will state and local governments respond. Trade-offs will have to be made between money for current services, bond payments, and pension benefits. Taxes will be raised and it’s likely that states will seek more bailouts from a debt-saturated federal government. 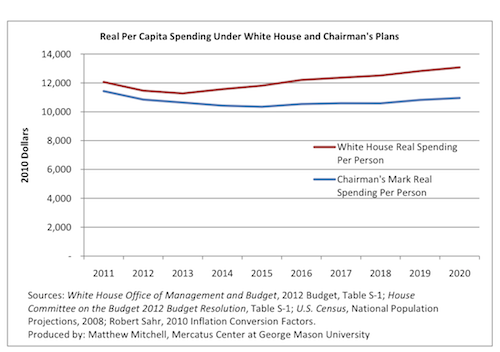 It’s hard to see how more federal spending (i.e. debt) is the way to stimulate cash-strapped states. Yet, that’s the argument made by Ezra Klein in this Sunday’s Post. Before issuing debt to cover debt it might be worth asking what have state and local governments been doing with all the economic development/infrastructure debt they’ve issued these past years? Harrisburg issued debt for an incinerator that was supposed to make money. Now called a financial ”fiasco,” the incinerator threatens to sink the city’s budget. Steven Malanga discusses the debts incurred by what should be a profit-making enterprise — the 40 year old New Jersey Meadowlands, as well as the long-running “redevelopment debt” odyssey of California. There is no magic in debt-financed infrastructure and economic-development, only a deferred tax bill to pay for the government’s gambles. This entry was posted in Stimulus, Tax and Budget and tagged California, economic development, Ezra Klein, local governments, make, New Jersey Meadowlands, pension, spending, Steven Malanga, tax, Washington Post on June 22, 2010 by Eileen Norcross.